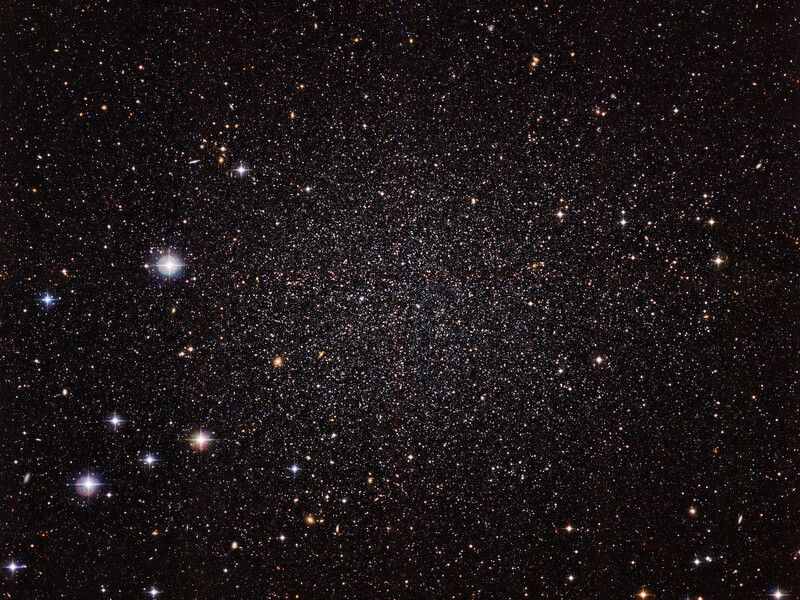 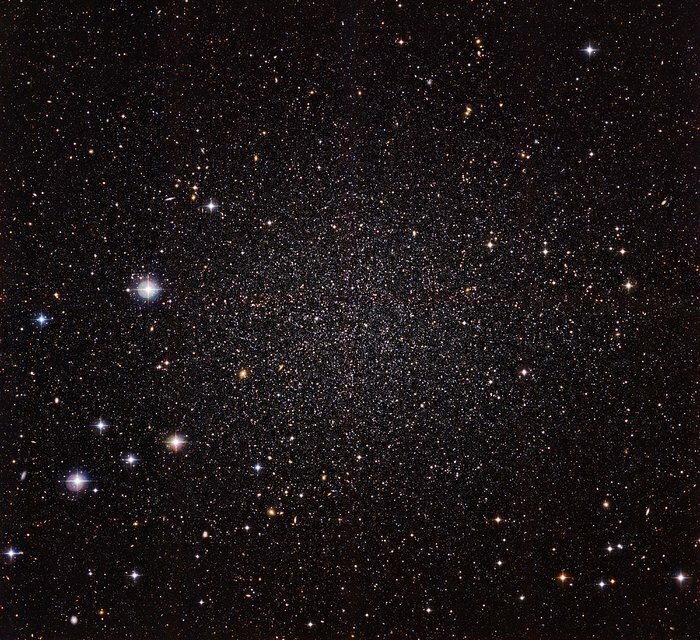 The Sculptor Dwarf Galaxy, pictured in a new image from the Wide Field Imager camera, installed on the 2.2-metre MPG/ESO telescope at ESO’s La Silla Observatory, is a close neighbour of our galaxy, the Milky Way. 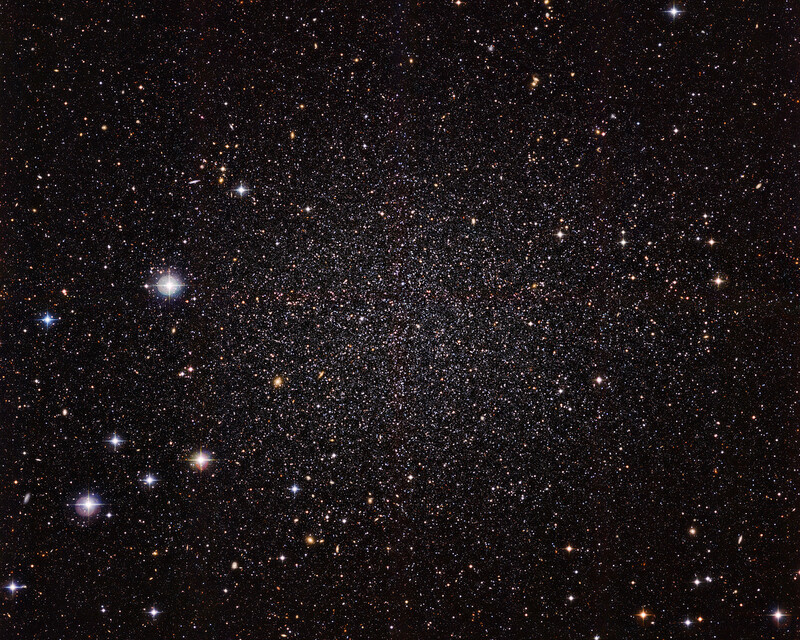 Despite their proximity, both galaxies have very distinct histories and characters. 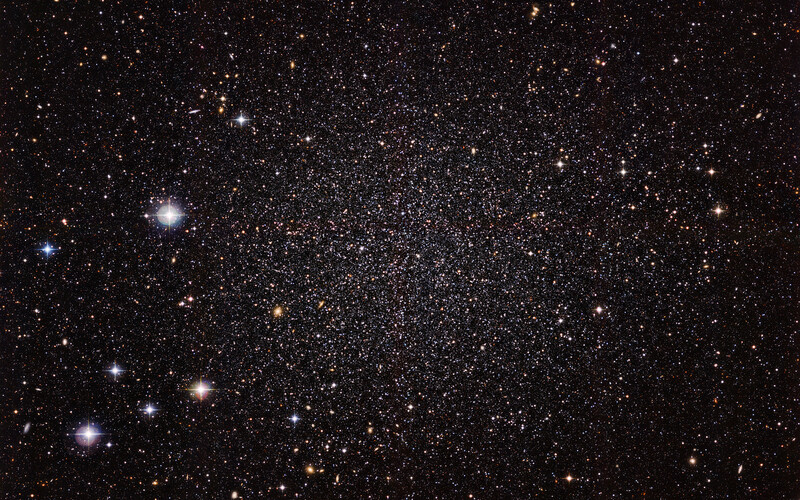 This galaxy is much smaller, fainter and older than the Milky Way and appears here as a cloud of faint stars filling most of the picture. Many other much more distant galaxies can be seen shining right through the sparse stars of the Sculptor Dwarf. Position (Dec): -33° 42' 48.90"